Who among your circle of family, friends and loved ones might be in need of God’s great mercy? Who among them might have dragons that need slaying? Who among them might need to experience the invisible but tangible presence of God? As I write this, and as you read the words written, people all around us are facing desperate situations causing them to, silently or aloud, willingly or instinctively, cry out to God for help and compassion, kindness and forgiveness, healing and love. Indeed, for mercy. Earlier today, I was made aware of a circumstance where I imagine this kind of crying out either has already, or soon will be, played out. The details are not yet fully known but mercy’s need unquestionably revealed, a mercy that by faith can end with inner peace, an inner peace paradoxically birthed by embracing that mercy. ALT. Your book is ostensibly about healing from painful memories, but you spend a lot of time instead writing about surrender to God. This is a very difficult trick to pull off, and you have said it was deliberate on your part. Why did you choose to write your book that way? EDEN. ​I’m really glad you picked up on the fact that the book’s invitation to find healing from painful memories is really meant as an entrée into a deeper experience of divine providence. The reason I make that shift is because, from a psychological standpoint—and this is something acknowledged by spiritual writers such as Augustine and Teresa of Avila and beyond—we can’t find healing if we remain fixated on the details of our messy lives. Healing comes through seeking God’s grace that we might cooperate in His plan for us. So, there is a real need for those of us who have suffered spiritual wounds to stop asking “why did I suffer this wound” and start asking “how can God use me in my woundedness”? When we see how God, in His mercy, wishes to bring us exactly as we are—with all we’ve done and all we’ve suffered—into His divine plan for the salvation of the world, that’s when we find healing. ALT. Your book’s title announces that it is about mercy, but in what sense do people who suffer painful memories like the loss of a child through no fault of anyone, or sexual abuse, need mercy? 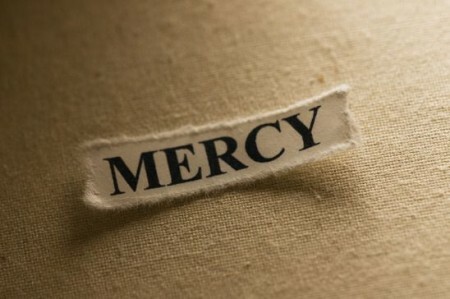 Isn’t mercy just for one’s personal sins? EDEN. Divine Mercy does refer, in its primary meaning, to the mercy of God that forgives our personal sins. But all wounds come from the original sin of Adam that created a crack in all of creation. Jesus, in dying on the Cross, redeemed us both from original sin and from personal sin. God’s mercy therefore saves us not only from our own sins but also from the effects of sin. When we surrender our heart to it, whatever harms us physically or mentally can no longer separate us from Him. It can only draw us closer to Him by making us more like His wounded and risen Son. ALT: So is your book about mercy, healing, or surrender? Or are these three inseparably connected somehow? EDEN. ​Yes, that’s exactly right—mercy, healing, and surrender are inseparably connected, and Remembering God’s Mercy is about all three. The part about surrender can be hard because, having suffered evil, we find it hard to trust in the goodness of God. So, I gently walk the reader through the journey of discovering where God is in the reader’s heart right now, even in the midst of suffering. Once you can identify that place in your heart where God’s presence is active, it becomes easier to follow Him toward the healing that He wishes to bring you. For me, as I share in Remembering God’s Mercy, I find God’s active presence in my very desire for Him. Read the whole thing and then pass it on. It may contain the seeds of that which could sprout into something much needed and necessary. God’s peace be yours… and especially His mercy.